ABSTRACT: In California, decades of progressive policies have created a society in which the well-connected prosper, entrepreneurship is discouraged, and immigrants face government-imposed barriers to achieving the American Dream. Yet Californians—and even more frequently, Hispanic Californians—keep voting for liberal candidates who perpetuate this two-tiered society. 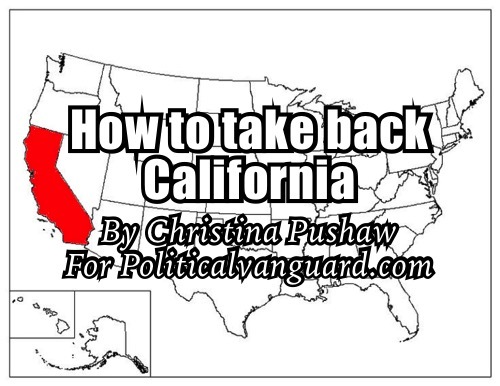 Contrary to conventional wisdom, California is not a lost cause. To return Ronald Reagan’s home state to its golden era, conservatives must reject protectionism and nativism. We cannot earn support from Latino voters by pandering to identity politics. Rather, we must uphold the traditional conservative principles—individual liberty, free enterprise, and limited government—that create opportunity for all. Individual liberty, free enterprise, limited government, and the rule of law create an environment where all can flourish, regardless of background. Sadly, in today’s polarized political climate, the core elements of a free society are under attack. Nowhere in America is this more apparent than in California, where excessive taxation and regulation continue to thwart economic innovation and opportunity. Elsewhere, calls for severe restriction of immigration and government-imposed obstacles to trade point to a resurgence of nativism and protectionism. These developments pose a dire threat to the ideals of a free society. Though nationalism is associated with federal policy debates on immigration and trade, the idea is inseparable from more localized questions of economic opportunity. Most Americans are not worried about free trade and immigration as stand-alone concepts. Rather, these issues are proxies for more immediate concerns about depressed wages and unemployment. When people perceive scarcity, they are more likely to view their neighbors as competitors. In fact, pro-freedom immigration and trade policies have bolstered the American economy, whereas excessive taxation, regulation, and administrative overreach have stifled economic opportunity. Of the latter, some of the most destructive policies are concentrated at the state and local levels. In California, for example, burgeoning taxes, occupational licensing requirements, artificially high minimum wage laws, legal restrictions on the sharing economy, and overreaching environmental regulations break the backbone of our economy: small business owners. How is it “progressive” to support lawmakers that perpetuate a two-tiered society? Ironically, self-proclaimed “progressives” in California tend to champion the rights of the historically disadvantaged—in rhetoric, at least—while supporting policies that perpetuate inequality. Laws and regulations that discourage entrepreneurship and protect cronies disproportionately harm the largest ethnic minority group in the state: Latinos. About ten percent of Americans are self-employed, but among Hispanic Americans, that figure is above twelve percent. Outside of deep-blue states like California, policies that alleviate the burdens on small businesses create a more free and prosperous society for all Americans, Latinos in particular. Conversely, regulatory burdens benefit entrenched special interests at the expense of new entrepreneurs by erecting barriers that squeeze small businesses—and in turn, exclude many Latinos from the market. Government-imposed obstacles rig the system in favor of those with political connections, instead of leveling the playing field for all. But it is not only the entrepreneurs who suffer: When competition is limited, all consumers must pay more for lower-quality goods and services. Higher prices affect everyone, but especially those with lower incomes. For example, in 2006, when the city of Anaheim imposed an ordinance prohibiting food trucks from parking lots, the mostly Latino vendors suffered—as did their customers. A court eventually overturned this ban on the ground that the city regulation was irrelevant to public health and safety; rather, established restaurant owners had lobbied local officials to eliminate smaller competitors. 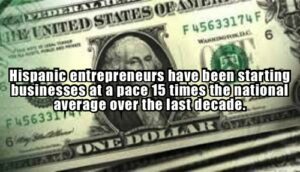 Discouraging entrepreneurship creates a culture of dependency and reduces opportunity. When opportunity is scarce, people worry that immigrants are taking their jobs. This assumption fuels the rise of populist sentiment. So begins a vicious cycle: By hampering economic liberty, nativism and protectionism retard growth. In turn, restricting economic freedom pits ethnic identity groups against one another. The irony is clear: Progressives, who claim to champion social mobility and racial equality, tend to support policies that harm the very groups they purport to help. Thus, against the massive power of the administrative state, Hispanic Americans should be natural allies in the fight for pro-freedom policies. Instead, this group is invoked by collectivists from across the political spectrum to promote ideological agendas. While “economic nationalists” on the right push to halt immigration and dismantle trade agreements, “progressives” on the left pander to identity politics. For instance, the Latino Victory Fund PAC released an attack ad accusing Republican voters in Virginia’s recent gubernatorial election of harboring a secret desire to run over immigrant children. Such race-baiting tactics have no place in a free society. However, in a nation where unchecked expansion of government power threatens liberty and opportunity for all, scaremongering is politically effective. Those who would advance a free society must treat Latinos, and everyone else, as individuals. Nonetheless, it is easy to understand the political impulse to cater to a “constituency.” As the Hispanic population share grows in America, progressives are investing heavily to capitalize on this demographic change. Despite the spurious and divisive messaging that characterizes identity politics, the Left’s strategy of Hispanic outreach is, on the whole, succeeding. 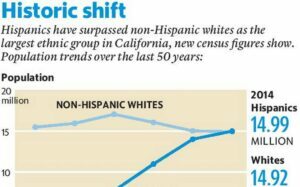 In California, over 40% of the population is Hispanic or Latino. As a group, Hispanic Americans tend toward more conservative social views than others in California—but the majority of Latino voters still support socially progressive, tax-and-spend, big-government politicians, because investments from the Left have driven the narrative in their communities. By playing defense, conservatives are losing ground. Too often, our national organizations write off California as a lost cause—forgetting that just one generation ago, Ronald Reagan was in the governor’s mansion. Reagan famously asserted, “Latinos are Republicans. They just don’t know it yet.” But turning California red again is not merely a matter of refocusing national resources on Hispanic outreach in the state—conservatives must resolve an identity crisis and unite around common values. Not only is it exceedingly difficult to appeal to economic nationalists and Latinos simultaneously, but the messages of economic nationalism also contradict the values that define a free society. Imposing trade barriers stifles competition and innovation in the market, granting ever more power to the administrative state. And by incentivizing companies to relocate factories from Mexico to the United States, the government picks winners and losers, while American taxpayers foot the bill. As the federal government shapes immigration and trade policies, a proposal that targets the federal level might appear the most logical way to preserve liberty from protectionist and nativist threats. In a democracy, however, the federal government can hardly be expected to uphold the ideals of a free society if the voting populace does not. Sustainable social change tends to emerge from the grassroots before influencing public policy. Therefore, an outreach initiative to engage Latinos in the fight for a free society will likely be more successful at the state and local levels. At first glance, specifically targeting Latinos while rejecting identity politics may seem paradoxical. But a free society must transcend ethnic, linguistic, and cultural boundaries. By weakening fundamental liberties, protectionism and nativism harm Hispanic Americans—just as they harm all Americans. Community outreach is the critical first step in engaging Latinos in advancing liberty. To be effective, such engagement must be consistent, credible, and above all, local. Partnerships with churches are especially crucial, as Latinos statistically are more religious than the average American—and thus should be repelled by the secularism that dominates modern progressivism. Furthermore, coordinated outreach to other nonprofits and community leaders could lead to events, classes, and other opportunities for engagement. Special guest speakers, such as pro-freedom Hispanic-American lawmakers and dissidents who escaped socialist regimes in Latin America, could raise public awareness and media attention. When more Latinos in California understand how government overreach harms them and their families, many will be inspired to advance liberty. Moreover, policymakers can address Hayek’s “knowledge problem” by getting to know the specific needs of each community, and crafting legislation in response. Only grassroots outreach can provide the local knowledge necessary to design, advance, and implement pro-freedom state and local policies. In California, elementary education stands out as one policy area in which Hispanic Americans could lead the charge for greater freedom at the state level. Although restrictions on immigration, trade, and entrepreneurship certainly affect Latinos, most express far greater concern about education. It is easy to understand why: Latino children are disproportionately trapped in failing public schools. White households are wealthier on average, and wealthier families already have “school choice”—they can either move to higher-performing districts or simply pay for private schools. Many Latino families lack comparable options. The state with the largest Latino population, California, has some of the strongest teachers’ unions—and the most racially segregated public schools in the nation. This is no coincidence. Although California’s progressive bureaucrats call for affirmative action at the university level, they fail to address the racial achievement gap that begins in elementary school. Latino K-12 students underperform on average relative to their white counterparts, but not because of language barriers or any differences in innate ability. Rather, the achievement gap stems from policies that force a higher share of minority students to attend low-quality public schools, where teachers and administrators are largely unaccountable. Families are desperate for better options, but California’s well-funded teachers’ unions wield great political influence to defend the status quo. By contrast, state-level policies that foster individual liberty—such as education savings accounts in Florida and deregulation of charter school funding in Colorado—have empowered Hispanic families. During the last legislative session in Texas, Latino activists were among the most vocal advocates of expanded school choice, hosting rallies at the state capitol and testifying before the legislature. As more children in Hispanic communities across America benefit from expanded educational options, momentum in support of school choice policies may rise in states like California. Moreover, a policy that benefits an especially high share of minority students should gain support from those progressives who are sincere in their commitment to racial equality. Unfortunately, the facts tell a different story. Latino groups in Arizona advocated for one of the boldest state-level school choice policies in America. Teachers’ unions responded by dispatching paid activists to gather signatures for a ballot initiative to repeal this policy in November 2018. If the initiative succeeds, Latino children in Arizona will suffer more on average than white students, who tend to live in more affluent districts. Thus, by opposing the policies that create a free society, special interests on the Left perpetuate the racial inequality that progressives claim to oppose. To build support for a free society, one must first personalize liberty for individuals. Although specific policy proposals may change as debates and demographics shift, the underlying principles of a free society are timeless. True conservatism is predicated on civil and economic liberties that allow people of all backgrounds to achieve the American dream, creating a nation unified by common values—as California’s most admired governor would have envisioned.